For the last five years I have been travelling the world and co-hosting women’s gatherings in many locations across the globe. I can’t think of a more nourishing and supportive way to travel … to move from one community of women to another meeting the most delightful and fascinating women doing incredibly interesting things……many ordinary women completely unaware of how extraordinary they are! I feel am a witness to a wave of new feminine power as each woman shifts a little more into her authenticity supported by the connection with like-minded women. 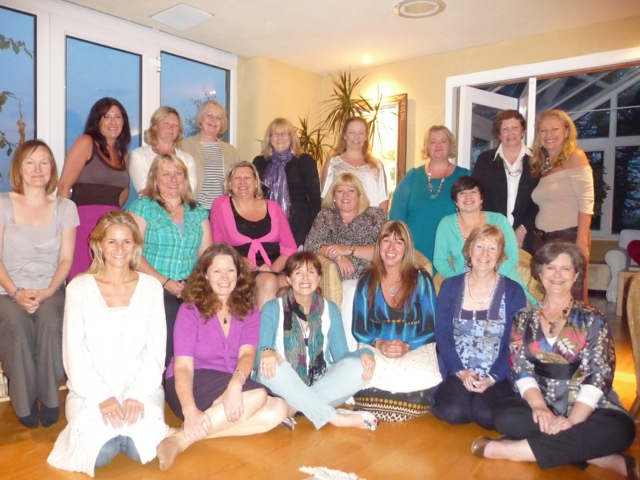 There is great potential and potency in our connection no matter how small our number … women’s gatherings give us the opportunity to find each other and become witnesses to our paths of personal and spiritual growth, while also supporting each other in growing our businesses and developing ourselves professionally. For all our successes and accomplishments, I have noticed some of us still feel a slight hollowness inside …. it’s a space that should be snugly filled with confidence but for various reasons it resolutely remains as a small gap. Being able to share in a circle of trust with other women is deeply fulfilling and nourishing, and helps to start filling this gap. Many women in the corporate and business world have lost touch with their authentic way of being as they have become so used to environments dominated by masculine ways and male leaders. They are surviving a way of working that is stressful and one that is driven by competition. Both men and women are yearning for more sustainable ways of making a living – indeed to have the opportunity to THRIVE – but women in particular are struggling to embrace values that do not nourish them. Women-only gatherings help these women see that reconnecting with collaborative, feminine values will help them cope or initiate culture change in their workplaces and business projects. On a very practical level, networking in a community of just women can be very supportive for women leaders and business owners, particularly for those starting new ventures, launching new initiatives or embarking on new phases as the atmosphere is conducive to honest, open-hearted appraisal and critique. When women are used to keeping their emotions at bay, and their life issues suppressed in the professional life, it is absolutely invaluable to find a empathetic community of women where many others have shared the same dramas/issues and can give compassionate insights and support. and in a nutshell … these are challenging times for everyone and we need all the support we can get 🙂 !! a circle meeting where once the initial introduction and scene-setting have been made, each member gets to share who they are, what they need, what concerns them or how they feel. The circle space can be used for any kind of conscious conversation. Everyone gets to speak. There is rarely a main speaker making a presentation but on some occasions a host may focalise a debate. 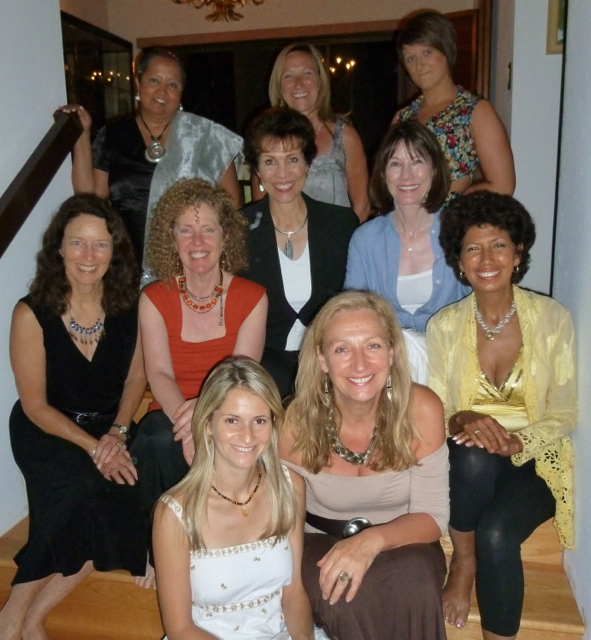 The host/s opening their home and hearts to a circle of women provide an invaluable service of space-holding which is always enough to create exceptional magic. The energy from these events not only nourishes the participants but I feel somehow it reverberates out and contributes to global womanhood. payment is usually around the £10/15-$15/20 figure to cover the cost of food, drink and house prep (the odd breakage) .. when it is a pot-luck and everyone brings food then less payment or none. Just a guide. as for age … all are welcomed but this event does tend to attract older women (40s 50s+) … maybe it takes a few years for us to really ‘get’ the power of connecting with just women as it did for me 🙂 but …….increasingly younger generations are seeing the value and feeling inspired to show up. And it is always so much more nourishing and enlightening with multi-generational insights. Who should join us? ……… YOU! Women who attend own businesses as diverse as massage practices, consultancy firms and manufacturing. Others are entrepreneurial minded professionals in careers. What we have in common is that we are all women, mothers, sisters, grandmothers who care as much about making a difference and reaching our potential as we do for making good financial returns from our invested money, time and energy. Join us. Ask me about creating your own Women’s Gathering. Invite me to co-host one with you in destinations I visit. 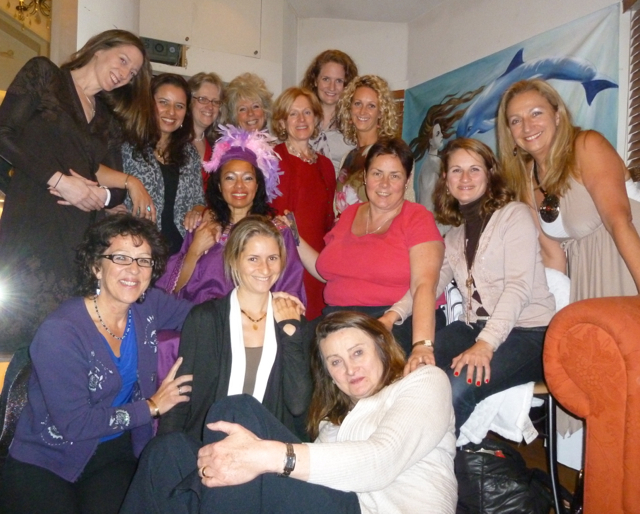 « the magic of women’s gatherings …. what is it? we rarely get to these gatherings for one reason or another but I really enjoyed this post Gina. Just today I was speaking to one of our newer plumbers who’s been working in a traditional plumbing firm and hating it. Now she’s a Stopcocks Plumber and overjoyed to be able to a) deal with her customers in a respectful way which feels comfortable for her b) do her job properly and thoroughly and use her considerable skills C) and perhaps most importantly she said, having been a woman in a man’s world, it feels so different and so supportive to be a woman in a woman’s world! This is a wonderful blog….I love all the content you have shared here. We are certainly on the same song sheet. Women gathering together is one of my greatest passions – perhaps it comes from growing up in a household of only women. Just a couple of weeks ago 2 of my friends moved in to help me recover from some recent surgery. Just 2 joining me in my home filled the space with the most wonderful chi energy. I have a woman I want to introduce you to in London. She is the Women Presidents Organization Chapter Chair in London. WPO is an organization for women business owners who have businesses in the $1million and up arena. I am a Chapter Chair for a group just starting in Atlanta. I will get her number and put the two of you together. I have already mentioned you to her. I do hope you come to CT or Atlanta on your travels. If you do, let me know. And, if you get to our favorite designer in Australia….buy for me!!! !